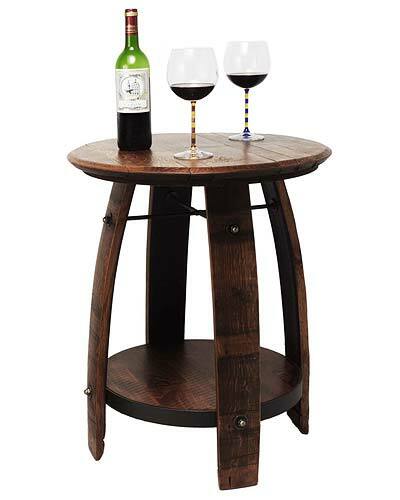 The Recycled Wine Barrel Side Table has a distinct rustic look. This unique table is handmade in Georgia from a recycled white oak wine barrel. It measures 28″ H X 23″ W X 23″ D, and comes fully assembled. This attractive table will look great in any living room, entertainment room, library, or if you’ve got one – a wine cellar of course. Great décor for any wine lover.